Our Homestay is very closely located to the colonial Connaught Place & India Gate on one side and famous Mughal era Chandni Chowk market and Red Fort on the other side. It provides for the most talked about shopping experience in the heart of the old city. The room is well-maintained and aesthetically decorated rooms are spacious and have all the modern day amenities required for a comfortable stay. Some of the basic ones include air conditioning, colour television. The bedroom has comfortable beds and essential furnishings like a wardrobe. 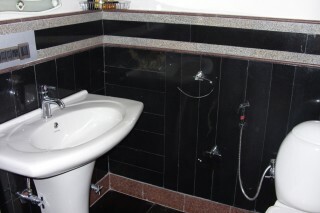 Attached bathrooms with hot and cold water facility are there.